Mike Ringler, Ed Prost, Terry Hawley, and Scott Miller, from Terracon’s Omaha office, spent a recent Saturday restoring Fontenelle Park Lagoon in Omaha, Nebraska back to its orignal state. 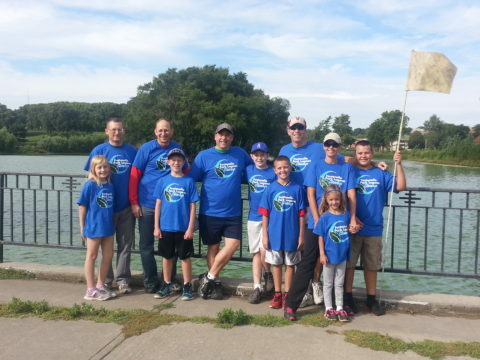 As part of the cleanup, which was sponsored by Black & Veatch, more than 50 volunteers raked plastic bags and bottles from the lagoon and spread mulch around the base of trees. Read more about the event here.